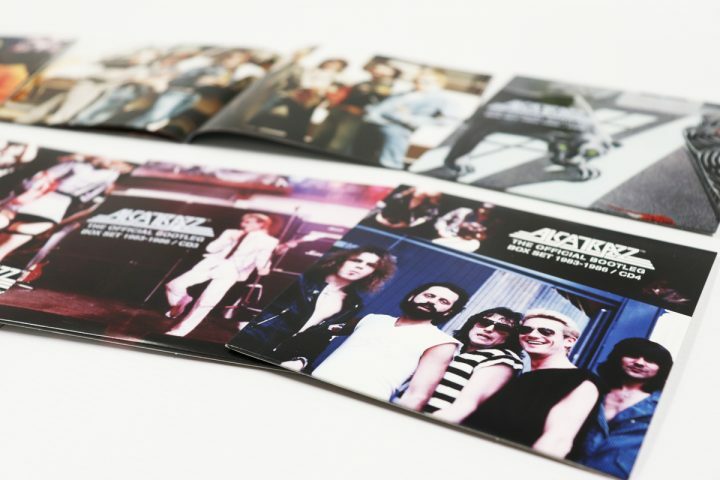 Each concert demonstrates what an exciting live prospect Alcatrazz truly were, CDs One, Two & Three all feature concerts recorded in Texas in 1984. CDs Four and Five are yet another unique and useful insight into the working of this band’s early work ethic, with demos and instrumentals from the 1983 debut demonstrating many of the songs’ developments. The last few years have been a bumper time for Graham Bonnet fans, as HNE Recordings continue to reissue expanded sets from Graham’s back catalogue as well as Alcatrazz, Blackthorne, Graham’s solo albums and Yngwie Malmsteen’s solo albums. Few singers have had such a varied career as Bonnet; first as part of The Marbles in 1968, a sporadic but successful solo career and possibly his greatest success replacing Ronnie James Dio in Ritchie Blackmore’s Rainbow for 1979’s “Down To Earth”, with the worldwide hits singles ‘All Night Long’ and ‘Since You Been Gone’. After Rainbow headlined their inaugural Monsters Of Rock festival at Donington in 1980, Graham reignited his solo career with ‘Night Games’ and the “Line-Up” album in 1981, before briefly joining The Michael Schenker Group for 1982’s “Assault Attack”. By 1983 it was obvious that Graham should recapture some of his Rainbow glory days by forming a new band with a similar vein of melodic hard rock, forming Alcatrazz with a formidable but young 20 year old Swedish guitarist named Yngwie Malmsteen. Bonnet and Malmsteen made an impressive song-writing partnership, with tracks such as ‘Island In The Sun’ and ‘Hiroshima Mon Amour’ on the band’s debut offering, “No Parole From Rock ‘N’ Roll’. 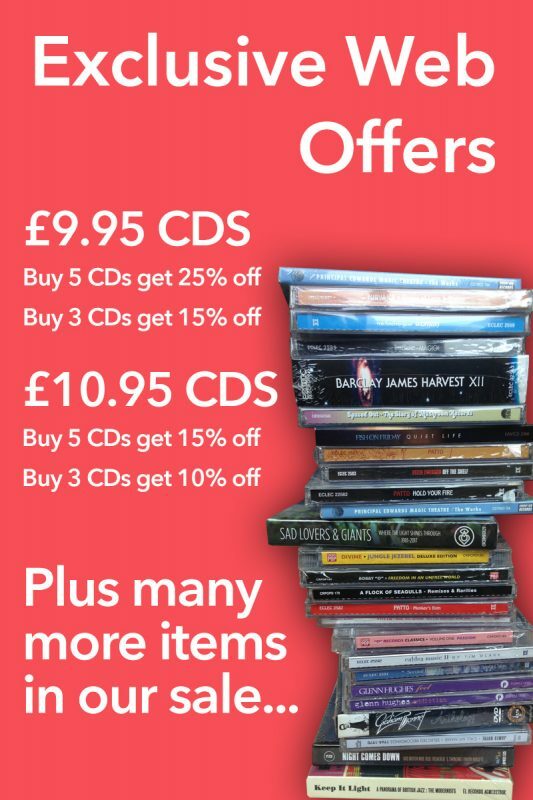 ‘Jet To Jet’, ‘Kree Nakoorie’, ‘Too Young To Die, Too Drunk To Live’, ‘Starcarr Lane’ and ‘Suffer Me’ also featured. Making a healthy dent on the US chart, aided by videos aimed squarely at MTV, nowhere was Alcatrazz’s impact felt as strongly as Japan, where the band became instant stars. Yngwie was a member of Alcatrazz for only a short time, lasting one studio LP in 1983 and a Japanese live album released the following year. Fortunately there were bootleggers on hand to record some of this line-up’s all too few live shows. CDs One, Two & Three all feature concerts recorded in Texas in 1984, and although the illicit sound quality is far from perfect, each concert demonstrates what an exciting live prospect Alcatrazz truly were, and in Yngwie Malmsteen they had found a fiery, preciously talented lead guitarist. 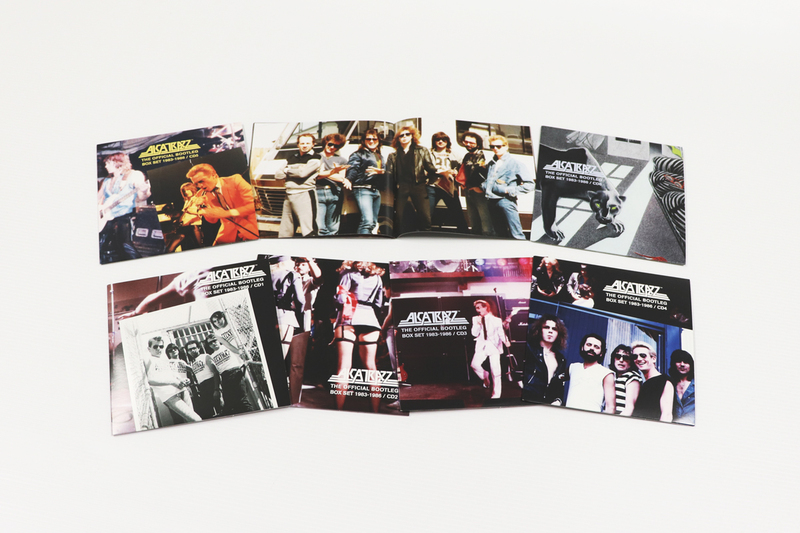 With only one studio LP to draw on it was inevitable that Bonnet and his new crew would pepper the set with highlights from his back catalogue, including Rainbow’s ‘Since You Been Gone’, ‘All Night Long’ and ‘Lost In Hollywood’ as well as Michael Schenker’s ‘Desert Song’ from the underrated “Assault Attack”. From the aforementioned Alcatrazz debut, highlights include ‘Too Drunk To Live , Too Young To Die’, ‘Hiroshima Mon Amour’, ‘Big Foot’, ‘Island In The Sun’, ‘Kree Nakoorie’, ‘Suffer Me’ and ‘Jet To Jet’. These live shows were also an important place for the young Yngwie to showcase his immense talents with a Fender Stratocaster, with his lead guitar solo spot a major highlight of each show. 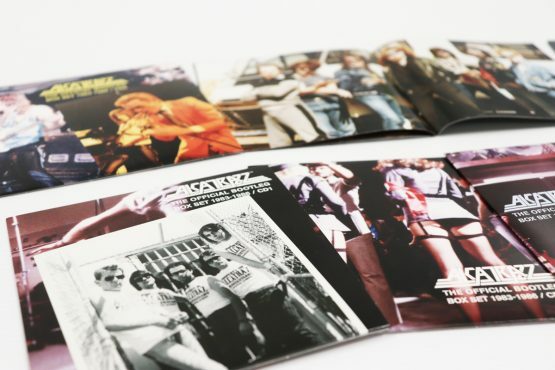 CDs Four and Five are yet another unique and useful insight into the working of this band’s early work ethic, with demos and instrumentals from the 1983 debut demonstrating many of the songs’ developments. Following Yngwie’s departure in 1984, Alcatrazz featured the undeniable talents of Steve Vai on lead guitar, before settling on the more bluesy stylings of Danny Johnson, who features on CD6, working on various song ideas for Alcatrazz’s third and final studio album in 1986, “Dangerous Games”. Whilst every effort has been made to produce the best possible audio, limitations in the material drawn from various, non- standard and unofficial sources means that the quality may not be up to the standard usually expected. 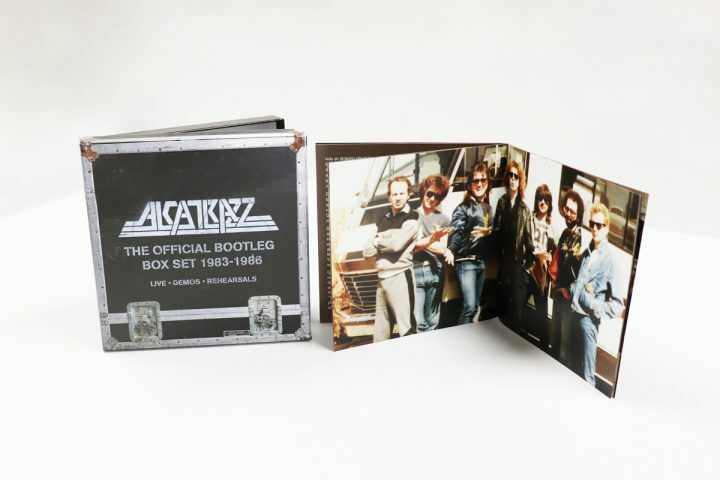 All tracks have been included for their historical importance, and to present an alternative anthology of Graham Bonnet and Alcatrazz live on stage and in rehearsal, from 1983-1986.